Christine Lee Silawan Murder - The National Bureau of Investigation (NBI) has filed a murder complaint against the 17-year-old suspect, NBI tagged him as the primary suspect in the brutal killing of Silawan. 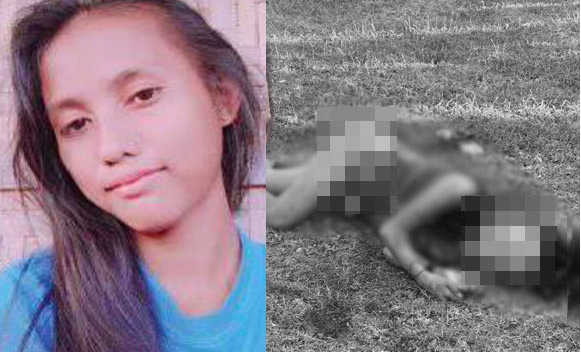 The 16-year-old Silawan who was found dead in a vacant lot with her body half-naked and her face was skinned. The complaint is in relation to the Cybercrime Prevention Act (RA 10175) against the suspect. According to NBI-7 investigation unit, the suspect was identified by "credible witnesses" as the last person seen alongside Silawan while walking towards the directions of the vacant lot where her body was found the next day. Prior to the incident, NBI found exchanging chats messaging to a certain Facebook Account with borth parties agreed to meet at the church located in Brgy. Pajac, Lapu-lapu City.